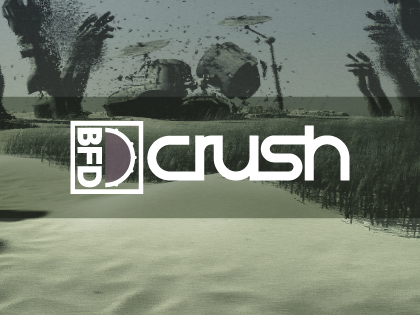 BFD Crush is an expansion pack for BFD3, BFD2, and BFD Eco, that captures a stunning Crush Drums Sublime AXM drum kit. Tuned and processed by our in-house engineers to sound loud and proud out of the box, this kit is perfect for all progressive and technical rock and metal genres. It comes with a full complement of Meinl Byzance cymbals, which also includes a range of stacked cymbals. Our engineers used a range of exceptional microphones perfectly suited for heavier music. The kick drum was recorded in three variations; dampened, fully open, and without the resonant head, and was captured using the infamous Audix D6, Sennheiser E602, and the AKG D112. An AEA R84 ribbon microphone was also used to provide a different texture to the kick. 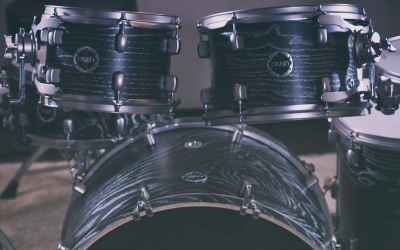 The kit was recorded with three snares across eight variations, giving you a range of dampened and resonant tones, as well as low and high tunings. Our approach of using a combination of dynamic and condenser microphones on the snare gives you maximum flexibility, and we used a ribbon microphone on the snares too. We complement the kicks and snares with a set of six tom drums - two floor toms and four rack toms - which allow you to choose whether you want a set of three lower tuned toms, or three higher tuned toms. Or why not load all six toms at once for a huge progressive drum kit! These were recorded with the same microphones as the kick drum to allow you to find the perfect balance of tones between the entire shell set. Included with the kit are ten cymbals from Meinl, recorded with beautifully smooth condenser microphones. We also included three stacked setups for more aggressive sounds. Not content to stop there, we also recorded a tiled surface to give some shimmer to your drum kit, and we brought back the infamous PZM microphones from the BFD Eldorado sessions - these microphones give you a huge room sound and can be the foundation of your mix. We also included a mono microphone positioned just in front of the drum kit, which can be crushed to hell and back to really fatten up your productions.